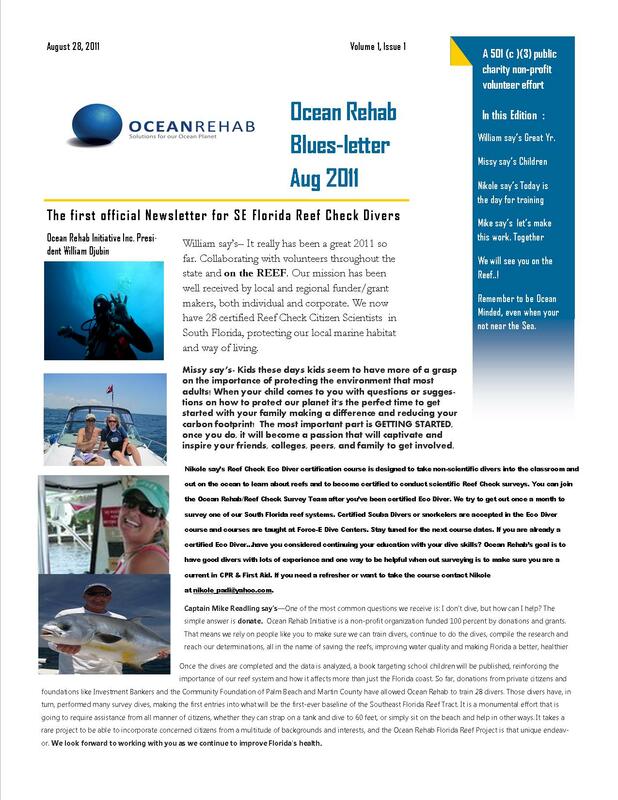 Ocean Rehab Initiative Newsletter, the Bluesletter: Click to Enlarge & Enjoy. 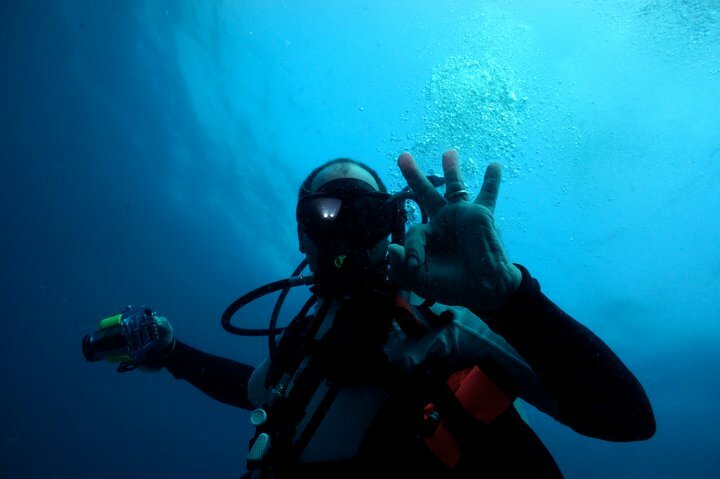 Baseline Data Collection, Florida Reef Eco-system, Ocean Rehab Initiative, Reef Check Foundation, Coral Reef Initiative. Florida Volunteers. We survey for Biomass of Fishes, Invertebrates and Coral- we also estimate health and damages to Reef Eco-systems including Disease and Bleaching. Many thanks to Nikole Ordway, Valerie Gaynor, Nathalie Zenny, David Desrocher, Captain Don Voss, Ariane Demitris, CBS Videographers and Producers and the Crew of the Deep Obsession. This video explains WHAT Ocean Rehab is doing with Reef Check Foundation and Diver Volunteers in South Florida. Ocean Rehab Initiative Inc. CBS12 News Story. Baseline Data Collection, Florida Reef Eco-system, Ocean Rehab Initiative, Reef Check Foundation. 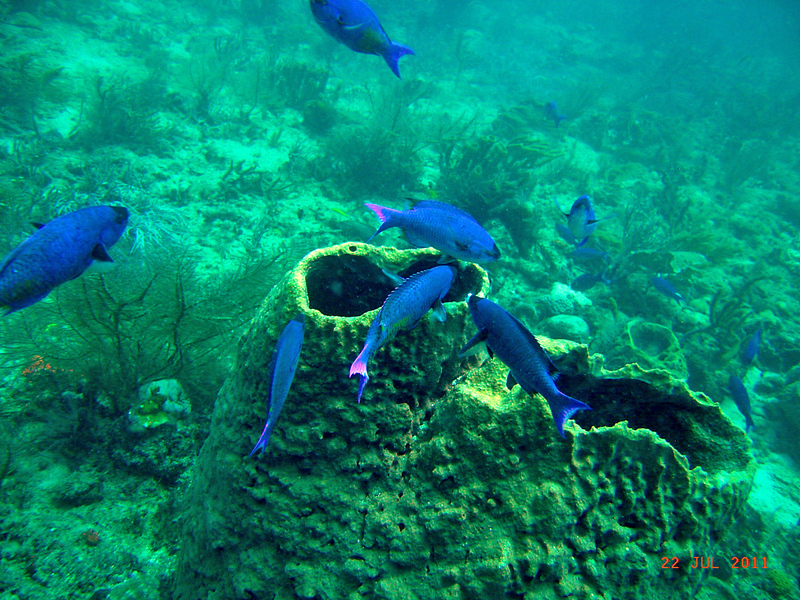 Ocean Rehab Initiative Inc. is a Coral Reef Initiative in South East Florida. Reefs at Risk, Revisited by WRI.